CARL RUSSO/staff photo. 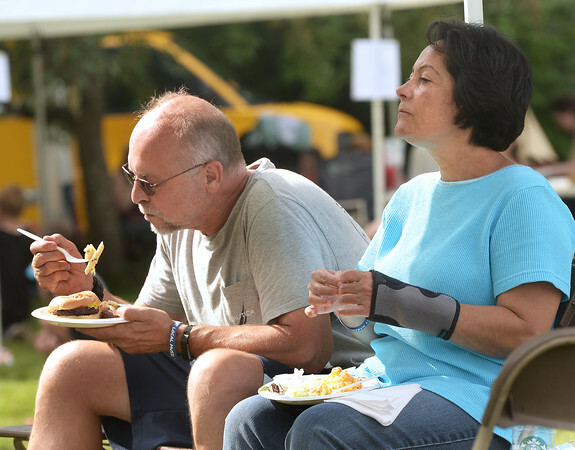 Al and Anna Woodruff of Newton N.H. have something to eat while listening to the concert. The Steve Lyons Fund hosted the annual Rock Out! Cookout on Saturday, August 25, at Winnekenni Castle in Haverhill. This family-friendly afternoon of music, food and fun benefited the Haverhill High School Marching Band Uniform Fund.